It was going to be for books, but I’ve written about that before. It could also have been about Bond. More of that another day. A couple of years ago I decided that I needed a new bike, and settled my sights on a Boardman Hybrid Comp. It wasn’t *quite* the model I wanted (long story), but I was more than happy with it. A couple of months pass and I hadn’t really had a chance to ride it. 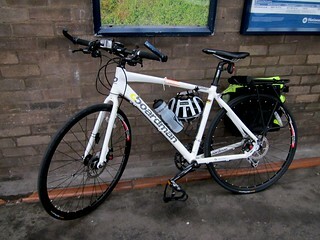 Then my friend Ned suggested that we sign up for Nightrider 2012, a 100km charity bike ride around London. At night. Done. Cue lots of training. Here it is, ready for an eventful trip. More of *that* another day too. Such a tease, I know. That’s where the problems started. I discovered fairly quickly that the bike had been set up badly. I’d bought it from the local Halfords (another part of the above-mentioned long story) and the handlebars were badly aligned, the disc brakes made one heck of a racket and so on. Luckily I’m fairly good with bikes, so an hour in the garden with a large mug of hot tea and my bike toolkit set me right. I learned a lot about disc brakes in the process, having never ridden a disc brake bike before. Thank goodness for YouTube! I also discovered later that the freewheel wasn’t behaving quite as I expected. On my old MTB, if you spin the freewheel, it, well, spins freely. On the Boardman? Not so much. It felt gritty. I’d only done about 250 miles on it by this point (as opposed to 3,000 on the MTB), and with only a couple of weeks to go until the Nightrider, I took it back into Halfords to sort out. Wish I hadn’t bothered. The guy in there insisted that they were all like that (no, they’re not) and that they could *possibly* get me a new wheel, but it’d be weeks, or they could *possibly* swap it out for one on display (but they didn’t) and gave it a healthy squirt of GT-85 and sent me on my way. My advice? Find a friendly local bike shop and get them to look at it. Someone who knows what they’re doing. I took the bike into Evans Cycles in Leeds for a pre-ride service, explained the problem and got back a properly working bike later that day. As the photo says. 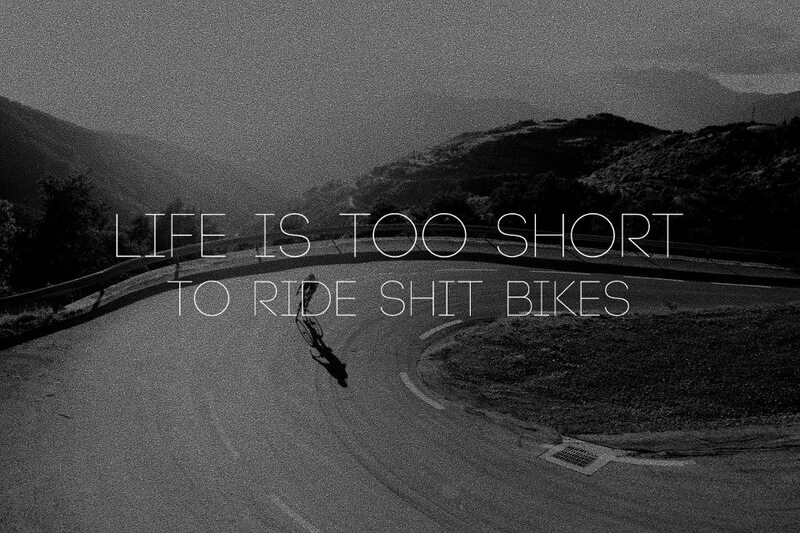 Life’s too short. Do it properly the first time. Oh, and here are some photos of the Nightrider event. Enjoy!